There’s not a single stop sign when it comes to Kevin Kastning. It’s been a good while since I’ve listened to Kastning’s music, so it’s time to dust off my albums and dig into his work. Whether it’s his collaborations with Mark Wingfield, Carl Clements, or percussionist Balázs Major, Kevin has never let me down when it comes to the challenges he’s released, he always come up with some new puzzles to put inside the Rubik’s cube. This year, Kevin and Balázs are a duo for the first time with Kismaros, on what is probably their fourth collaboration. 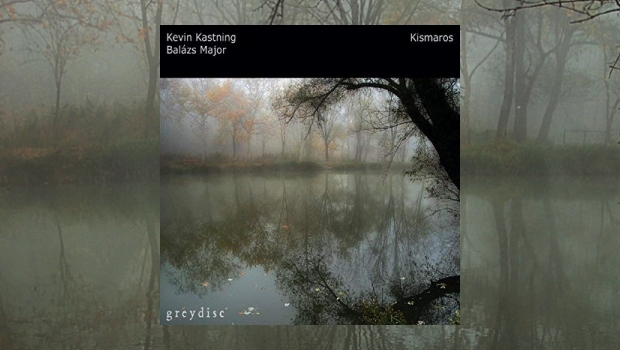 Recorded on 15th May during the 2018 European Tour at the Kismarosi Muvelodesi Concert Hall in Kismaros, Hungary, Kastning and Major bring their 7-part suite to life, creating both the magic and minimal sounds. They create dark, traditional, and eerie textures that surround themselves with an exuberant atmosphere. Kevin’s music may not be everyone’s cup of coffee, playing his 30-string contra-alto guitar throughout; it is like walking through some of the paintings by Jackson Pollock or Salvador Dali. As you listen to the seven-part suite of Kismaros, some of the pieces can be vast with immense spacious areas that can be both risky and dangerous. But as I’ve mentioned about the Rubik’s cube that Kevin and Balázs have created, it’s even more challenging than ever. It is part avant-garde with some surreal edges, an echoing forest that is howls right back at you. Kevin Kastning has always challenged my earbuds with his releases and the collaborations he teams up with. Kismaros is a brainstorming and creative conceptual door-opening experience. I would love to see both Balázs and Kevin work together as a duo again in the near future to see which doors they are able to open next.